There’s a good chance you may have never heard of Mooka. They aren’t one of the more popular home appliance manufacturers. However, this doesn’t mean that the products they manufacture are bad or of lesser quality than other, more well-known, manufacturers. Quite the opposite. Today, we’re going to be looking at the Mooka Auto Robotic Vacuum. This is the updated 2018 version that was recently released. 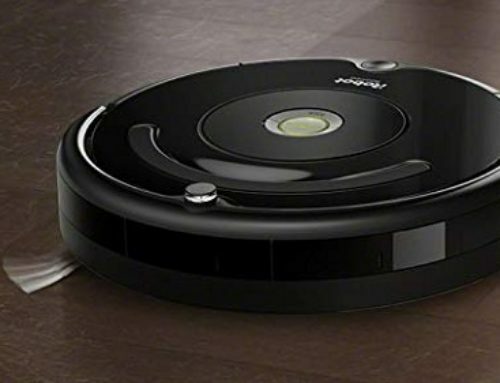 Now, this is a more low-budget robot vacuum, and as such, it doesn’t have the sheer variety of features and capabilities as other, more expensive, robot vacuums. But, it is a very good robot vacuum that will more than suffice for basic – and some not-so-basic – vacuuming needs. Unfortunately, the Mooka Auto Robotic Vacuum does not have any smartphone functionality. Other robot vacuums have these capabilities, but due to the low-price-point of this robot vacuum, you don’t have access to those capabilities. For you, this means a couple of things. One is that you won’t be able to turn on the vacuum anywhere you are. You can’t turn it on while at work or at the grocery store. Nor do you have access to the information the sensors are producing while cleaning or anything of that sort. Instead, you’ll have to be within the range of the vacuum to do these things, and you can’t do it using your smartphone. Despite lacking that feature, this vacuum has plenty of great features that it does offer you. What Does The Mooka Auto Robotic Vacuum Give Me? Picking this vacuum up and moving it around is an absolute breeze. This is because the Mooka Auto Robotic Vacuum only weighs 3 pounds. 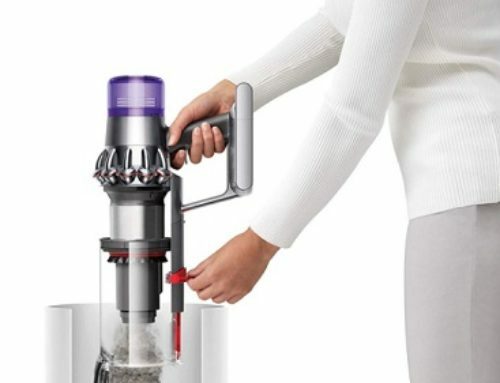 Now, robot vacuums aren’t exactly known for being heavy in the first place, but this is VERY light. 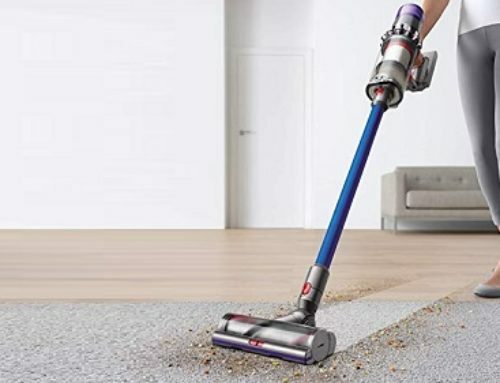 Due to its lack of heft and small form-factor, this vacuum moves very quickly and efficiently. Moving underneath chairs and furniture is easy, too, since this vacuum is less than three inches tall. This speed is enhanced by the anti-drop and anti-collision sensors that the vacuum has built-in. These sensors prevent it from falling stairs and other drop-off points, as well as colliding with obstacles. Using these sensors, paths are created, while the vacuum is cleaning, and these paths help the vacuum focus on cleaning as much as it can. Beginning the cleaning process is very, very simple. While you don’t have any smartphone functionality, you can use a small remote control to do all of those basic features. Features such as turning on the vacuum, creating a custom schedule, and accessing various cleaning modes. Modes such as Single Room Cleaning – for cleaning a single room, rather than the entire floor. Edges Cleaning – for cleaning edges, rather than general floors. And, of course, Auto Cleaning, for simply beginning the cleaning process without any specifications regarding what and how it is getting cleaned. When the robot vacuum is done cleaning, or it’s running low on battery life, you don’t need to do anything. Instead, it wanders back to the charging dock. Now, if it needs to charge during the cleaning process, it will remember where it left off, an return to finish cleaning. As for the battery life, it is two hours. For a robot vacuum of this budget, that’s an exceptionally long run-time. Recharging the battery after it has been drained takes about five hours. Of course, we haven’t talked about how it performs while cleaning. This is, arguably, the most important aspect of any vacuum. If a vacuum can’t perform its main, basic function well, then it just isn’t much of a vacuum. Fortunately, the Mooka Auto Robotic Vacuum is exceptionally good at vacuuming and performing those basic cleaning functions. Using an advanced Three-Point Cleaning System, the suction is greatly enhanced. This makes it much, much easier to clean a great deal of dirt, dust, and debris in a short time-span. According to Mooka’s marketing, this Three-Point Cleaning System gives the Mooka Auto Robotic Vacuum up to ten-times the suction speed and power of other, similarly low-budget, robot vacuums on the market! So, Should I Purchase This Robot Vacuum? The answer is a definite “Yes” if you are in need of a good robot vacuum, and you aren’t too concerned about not having any smartphone functionality. Because, aside from that particular feature, the Mooka Auto Robotic Vacuum has everything else that you could want! Well, that’s it for this Mooka Robot Vacuum Review. We hope you found it helpful!